Forty-six accurate, authentic renderings of fighters, bombers, transports, etc. Includes "Enola Gay," Japanese Zero, British Spitfire, German Komet jet fighter, many others. Captions include detailed coloring information, military role and affiliation of plane, manufacturer, other data. All illustrations copyright-free. 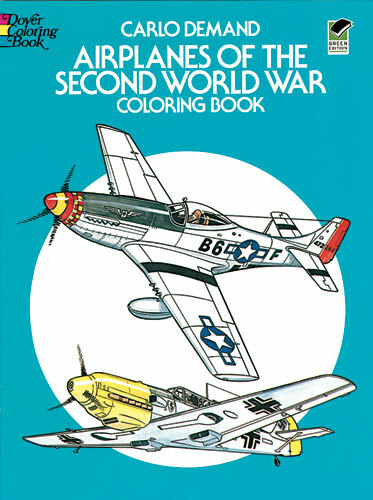 13 planes in color on covers. Publisher's Note.